Most of us, if not all, wish to live a long life. We hope to see our children grow old, build a family, and raise their own children. We would even want to witness how our grandchildren grow old as gracious ladies and fine gentlemen. But the perks of reaching an older age come with a price. If we have not taken care of our body well while we were in our youth, we might experience adverse changes in our bodies. Unluckily for some, our bodies begin to decline while we age. Our mobility becomes limited. We get diagnosed with health issues which possibly change our way of life. Because of these, others even unconsciously suffer from depression and choose to be isolated from others. So how do we solve these issues? 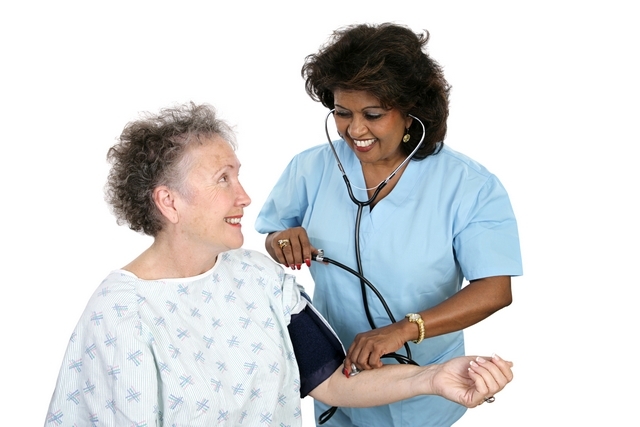 Ontime Home Health Care Staffing Agency opines that providing personalized home care is the best solution. The agency will analyze your condition before creating a plan. Not all home health care agencies could provide a customized home care plan to its clients. The reason for this is the fact that it is difficult to create this type of home care plan. The agency needs to visit the client and have a face-to-face session with the care benefactor, as well as the family. The agency also has to know the medical history of the client before they could decipher which services to give to the client. When all the factors have been considered and investigated on, that is the only time when Ontime Home Health Care Staffing Agency would begin to create a specific plan for the senior citizen who necessitates home care services. The type of care would be tailored fit to your condition. The home care plan would be based on certain factors regarding the senior citizens’ current health condition, age, medical history, and whether they live in their homes alone or with a family member. We need to assess fully each factor so that we can take note of the possible special needs of the senior citizen. When the senior citizen has special requests, we also have to do our best to cater these. The home care agent is experienced. Another special thing about our personal care services in Cleveland, Ohio is that we assign home care agents who already have a background on the senior citizens’ condition. Since we look into the needs of our benefactors, only qualified care agents who can take full care of the particular senior citizens’ requests would be allowed to handle the assignment. We never compromise on staffing, we only provide the most qualified staff to care for our clients. Make sure that you get only the right type of home care. Research and inquire which agencies could best cater to your needs. Do not settle for less. This entry was posted in Home Health Care, Senior Care and tagged Health Care, home care, Home Health, Personal Care Services. Bookmark the permalink.